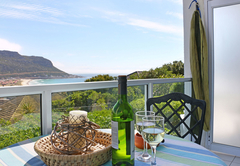 Whale Watchers Studio Apartment is a property providing self catering in Fish Hoek for up to 2 guests visiting the False Bay region. 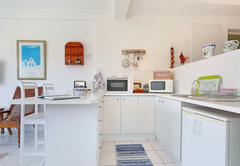 Located in the quaint seaside village of Fish Hoek, Whale Watchers Studio Apartment provides accommodation for two adults. 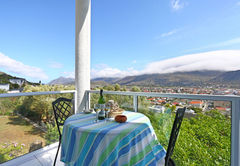 The apartment is close to the beach and the Table Mountain National Park. Fish Hoek is well known for its safe swimming beaches and is within close driving distance of Cape Point, Boulders Beach and the wine farms of Constantia. 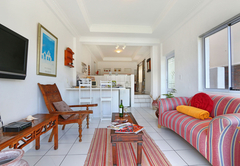 The self catering Whale Watchers Studio Apartment has an open plan bedroom area furnished with a double bed. 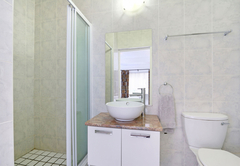 There is one bathroom with a shower, basin and toilet. Bed linen and towels are provided. There is an open-plan kitchen and living area. The kitchen is well equipped and includes a two plate stove with mini oven, a fridge, microwave, cutlery and crockery. There is also a breakfast bar with stools. The lounge is comfortably furnished and equipped with selected DStv channels. The living area opens up onto a balcony with views of the mountains. 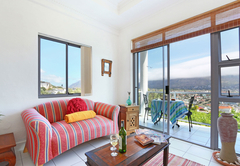 Our romantic luxury self-catering studio apartment with en suite bathroom also has a private balcony overlooking Fish Hoek Beach, barbeque facilities and a hammock. Relax and enjoy! 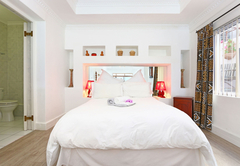 ; This apartment has a limited DSTV package and offers FREE Wi Fi. Response timeWhale Watchers Studio Apartment typically responds to requests in 5-10 minutes.